France and Australia kick off Group C this morning for the first of four games on the first Saturday of the tournament. Didier Deschamps' Les Bleus head to Russia among the favourites but will remember all too well their group stage exits in 2002, as defending champions, and 2010. Australia reach their fourth World Cup on the trot and will be hoping to improve upon their zero points from four years ago. The match will be televised on BBC One, and can be streamed live online via the BBC iPlayer. 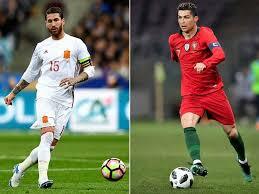 Portugal faces Spain in the 2018 FIFA World Cup in the second match of Group B, on Friday June 15,at Olimpiyskiy Stadium in Sochi. Spain and Portugal have met on 35 occasions. Spain have 16 wins to Portugal's six, with 13 draws. The Spanish national team enters this clash in good shape overall, but it is expected to be without defender Dani Carvajal, who has just returned to training, while Portugal, is healthy and led by superstar Cristiano Ronaldo, who just won his third straight Champions League title with Real Madrid. Portugal are coming into this tournament off the back of their Euro 2016 win and should be feeling good about their team's chances. Julen Lopetegui was sacked just two days before Spain's opening fixture after accepting the Real Madrid job, plunging the 2010 world champions' preparations into disarray. Potential Portugal XI: Patricio; Cedric, Pepe, Fonte, Guerreiro; Moutinho, Carvalho, Mario, B. Silva; Guedes, Ronaldo. Potential Spain XI: De Gea; Odriozola, Ramos, Pique, Alba; Busquets, Iniesta, Isco, Thiago, Silva; Costa. 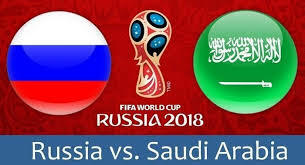 Saudi Arabia vs. Russia in the start of the 2018 World Cup.live stream info. Today is the opening one of the biggest sporting spectacles is set to get underway with Russia hosting the 2018 FIFA World Cup. Russia takes on Saudi Arabia in the first match of the World Cup 2018 at Luzhniki at the host Stadium in Moscow , on Thursday 14th Jun . Russia and Saudi Arabia exists in the first group that consists of Russia, Saudi Arabia, Egypt, and Uruguay. Stream: Fox Sports and the Fox Soccer Match Pass apps . 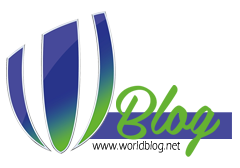 Both clubs have faced adversity in preparations for the 2018 World Cup, but they have their sights se on a hope-inspiring victory. Matches. 3.1 Russia vs Saudi Arabia; 3.2 Egypt vs Uruguay; 3.3 Russia vs Egypt . Russia last World Cup showing: Group stage, 2014, and FIFA world ranking: 70. ELO world ranking: 45, while Saudi Arabia last World Cup showing: Group stage, 2006, and FIFA world ranking: 67. ELO world ranking: 63. Saudi Arabia enter the competition led by their third coach in less than a year, and know only a positive result against Russia will give them hope of being competitive in a wide open Group A.